In a pot heat oil and 1 Tbsp sugar until sugar turns gold-brown. Add onions and fry for 3 minutes. Add rest of ingredients and cook until liquid has reduced. Add salt and pepper to taste. Eat warm or chilled. 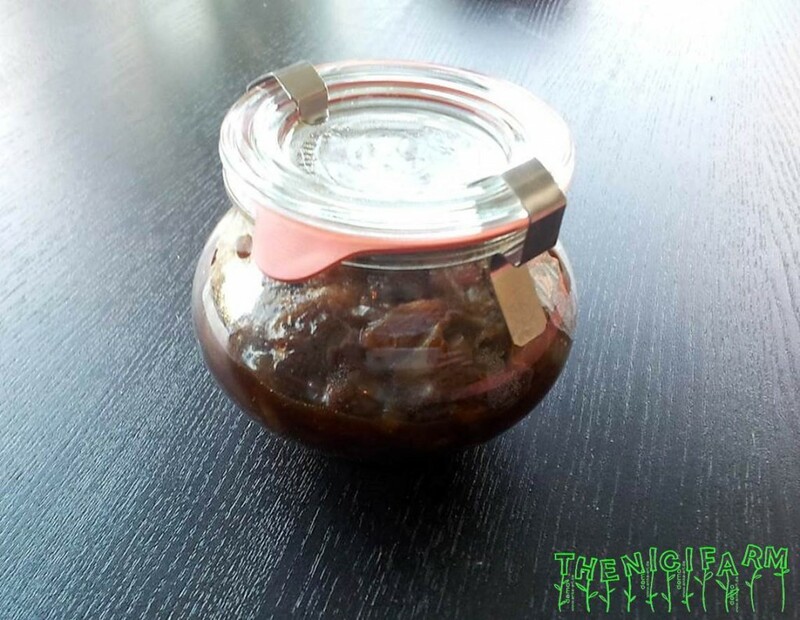 This chutney has a sweet sour taste.